Kansas Secretary of State Kris Kobach launched his campaign for Kansas governor on Thursday, decrying a culture of corruption in Topeka and vowing to crack down on illegal immigration in a speech with echoes of President Donald Trump. Kobach, the architect of controversial election and immigration laws, advised Trump on immigration policy throughout the 2016 election. He emphasized his connections to the president and promised to center his campaign on fighting “corruption, taxation and illegal immigration” during a speech at the Thompson Barn in Lenexa. During an appearance on the Kansas City Star’s Facebook live show “Beer Hour” later that day, Kobach said that he had turned down positions at the White House and the U.S. Department of Homeland Security to remain in Kansas. Kobach, who is a figure of national controversy for his hardline stance on illegal immigration, calls Kansas the “sanctuary state of the Midwest” and says that the state spends hundreds of millions on public services for illegal immigrants. He lambasted Kansas lawmakers for raising taxes “on hard-working Kansans” by repealing Gov. Sam Brownback’s tax cuts Tuesday to fill the state’s budget hole and contended that the state could have saved dollars by restricting immigration. “Why don’t they tackle the problem of illegal immigration in the state of Kansas and see if we could save some money there?” he said at his kickoff event. Kobach cited figures from the Federation for American Immigration Reform, a group considered an extremist group by the Southern Poverty Law Center, in support of this claim. He also pointed to a 2004 law that allows people who entered the country illegally to pay in-state tuition at Kansas universities if they’ve lived in the state for at least three years and have graduated from a Kansas high school. “We are also the only state in the five-state area that rewards illegal immigration by giving in-state tuition to illegal aliens when our own students are barely able to afford college. 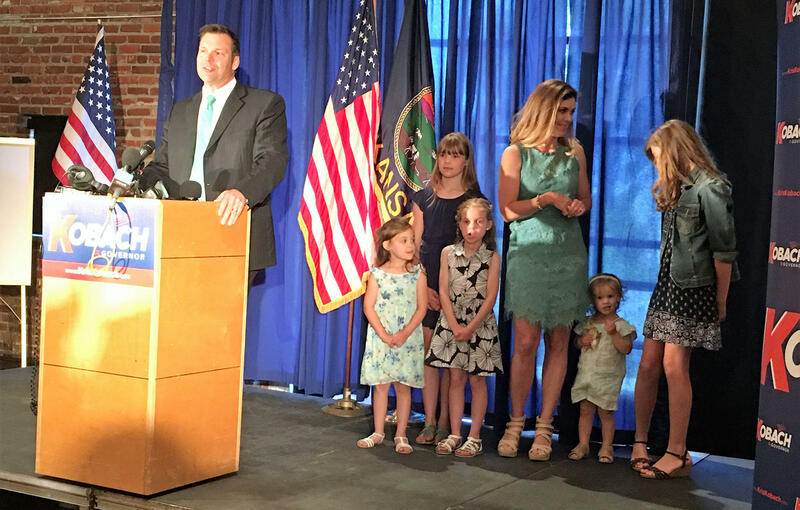 I don’t know what I’m going to do when these five get old enough to go to college,” Kobach said, gesturing to his five daughters. Almost 700 illegal immigrants took advantage of the in-state tuition program in 2016, mostly for community college, according to data from the Kansas Board of Regents. Kobach touted his role in crafting immigration laws around the country, including a 2010 Arizona law that critics say encouraged racial profiling by requiring law enforcement officers to determine a suspect’s immigration status if there is reasonable suspicion he or she is in the country illegally. Kobach has repeatedly rejected accusations of racial bias. His candidacy was condemned by the Fair Immigration Reform Movement, a national group that advocates for immigrant rights. That’s GREAT endorsement! “Kobach is an Architect of Hate and he’s relied on hate and fear to financially profit as he advanced and defended policies aimed at severely restricting immigration in the United States. He is simply not fit to be governor of Kansas — or hold any public office,” the group said in a statement. Typical left-wing panic, they see the end coming when Kris is elected. Rep. John Carmichael, a Wichita Democrat who has been a vocal critic of Kobach, accused him of running “on a platform of hate.” Liberal snowflakes, what can I say? Kobach, who appears regularly on cable news shows and previously hosted a weekly talk radio show, has developed an intensely loyal following both in Kansas and among conservatives nationally for his focus on immigration. Several attendees at Kobach’s campaign kickoff cited his focus on the issue as a major reason for their support. 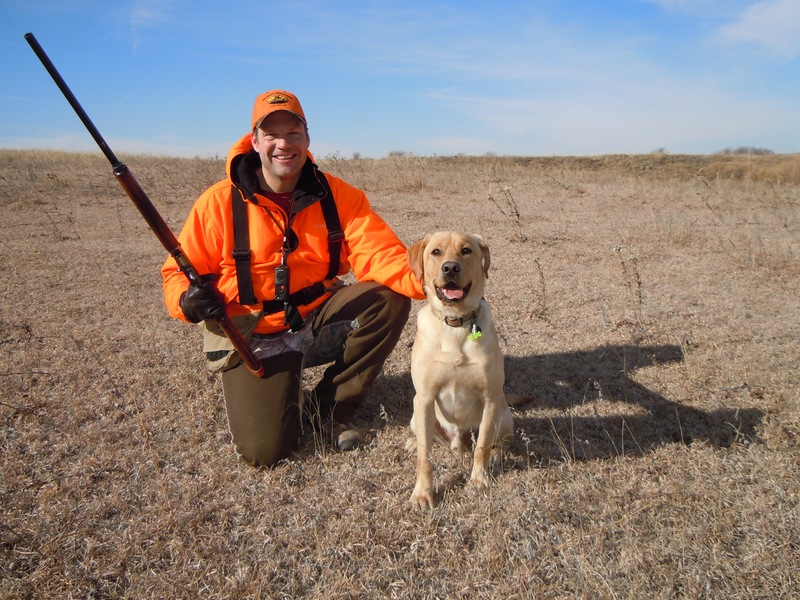 Tim Barnett, a Kansas City, Kan. resident, said he regularly goes hunting and fishing with Kobach. Barnett said that Kobach brings the same level of intensity to his leisure activity that he does to his politics. Kobach’s announcement comes less than a month after he was tapped by Trump to serve as vice chairman of a special commission to study voter fraud. During his six-year tenure as secretary of state, Kobach became the only secretary of state in the nation with prosecutorial power in 2015 and has so far secured nine convictions for election crimes. He crafted a law that requires Kansas voters to provide proof of citizenship, such as a birth certificate or passport, to vote. Kobach has repeatedly said the law ensures the integrity of Kansas elections, but opponents, including the American Civil Liberties Union, say that the law makes it harder for rightful voters to participate in elections. Dale Ho of the ACLU’s Voting Rights Project referred to Kobach as the “king of voter suppression” last month when his appointment to the commission was announced. The endorsements just keep on coming! The law blocked thousands of illegal voters from participating in the state’s last gubernatorial election, but it could not be fully enforced in 2016 under orders of obstructionist judges at both the state and federal level. The rulings are still being fought. Kobach, a former chairman of the Kansas Republican Party, called for term limits and restrictions on how quickly a former lawmaker can become a lobbyist as he spoke to a crowd that included several current and former lawmakers, including former Rep. Travis Couture-Lovelady, who left the Legislature to become a lobbyist for the National Rifle Association. Couture-Lovelady declined to comment and emphasized that the NRA has not yet endorsed a candidate for governor. On the 2nd Amendment subject, Kobach has a 93% NRA rating, one of the highest in the nation for political candidates. As Secretary of State Kris Kobach takes more than academic interest in the U.S. District Court trial of two men who placed faith in Kansas lawmakers depicting a 2013 law as a shield from federal prosecution for anyone owning firearms made, sold and kept within Kansas. Kobach, a former law professor who co-authored the Second Amendment Protection Act, said the case built by U.S. Department of Justice attorneys against Shane Cox and Jeremy Kettler was on shaky ground. Kobach is the third Republican candidate to enter the 2018 race. Wichita oil magnate Wink Hartman, a Republican mega-donor, and former state Rep. Ed O’Malley, a moderate who now runs the Kansas Leadership Center, launched campaigns earlier in the year. Show your support for Kris, go to the KOBACH 2018 Official Website and his KOBACH 2018 Facebook Page!